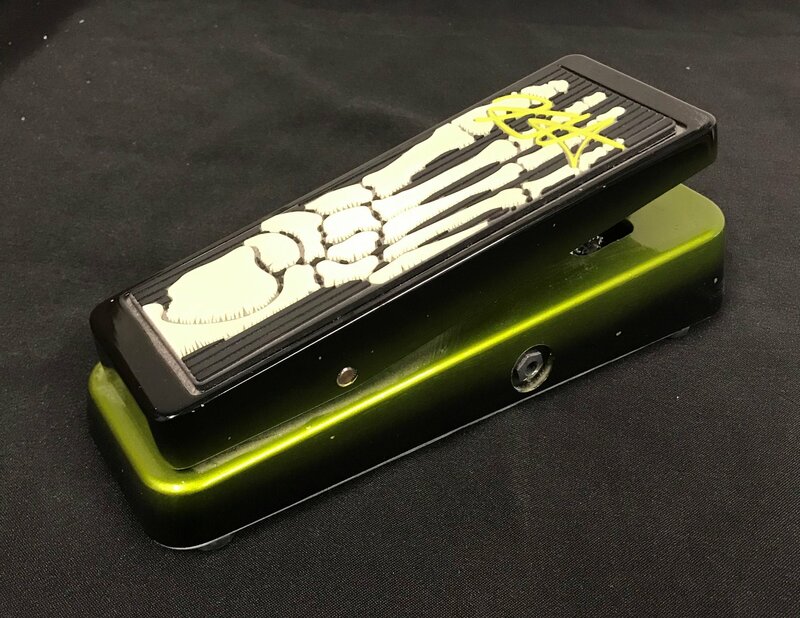 Developed in close collaboration with the metal guitar icon himself, the Dunlop Kirk Hammett Signature Wah Pedal has been meticulously tuned and tweaked to deliver the wah-wah sound that revolutionized metal solos in the '80s and for all time to come. Dunlop's engineers took Kirk Hamett's EQ, volume and tone settings reflecting decades of blazing Crybaby riffology and reproduced them with exacting precision. The Kirk Hammett Wah is exceptionally even in response, with a thick top end and full dynamic range. This radical stomp pedal features cool foot bone graphics.